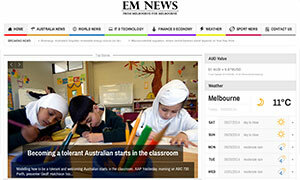 We wanted to develop a news site from various information sources, displaying relevant news that is dynamically updated. We developed a system that will automatically republish content from various free sources in a clear and organised manner. We hope that this service will help some users keeping upto date with news and opinions.